No matter how much you love to relax and rejuvenate, a long flight can make that seem nearly impossible. We've partnered with Emirates Airline to show why you never have to sit through another restless flight — even in Economy Class. When embarking on an exciting international trip, you want to enjoy every single moment. But before you can soak in all that your destination has in store, you need to get there first — and that most likely involves a long (and potentially daunting) flight. 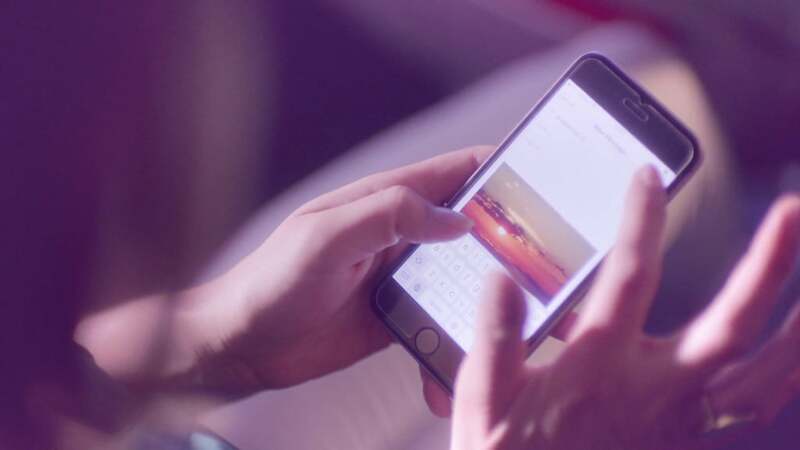 If you're the kind of girl who's already in relaxation mode as soon as you find your seat, let us show you some new ways to appreciate airtime like never before. With the tips here, we guarantee you'll feel like you're on vacation even from 40,000 feet above ground. From the moment you board the plane until you touch down at your destination, these friendly faces are your lifeline en route. 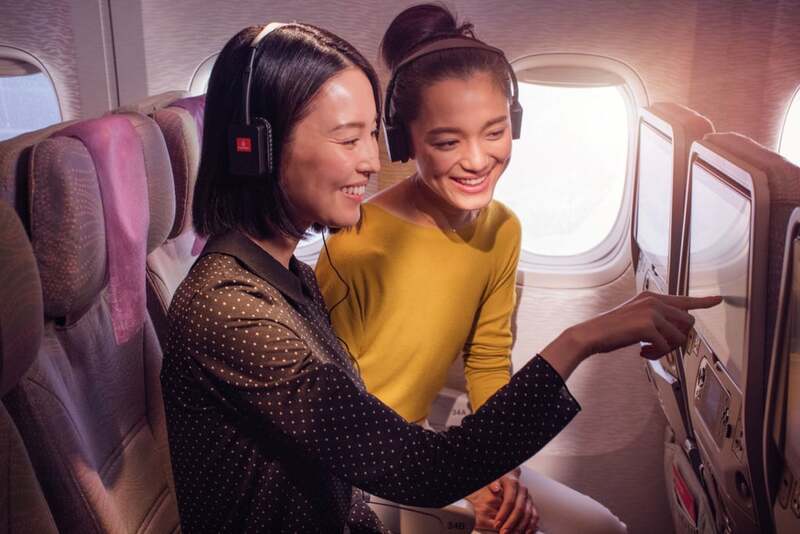 Because an international flight and hours of airtime are in your future, you'll be thankful that they're on board to make every moment more enjoyable. Need that late-night digestive, soothing cup of tea, or realized you forgot to pack a necessity? They'll be there at the ready. And best of all: they're multilingual in up to 60 languages to ensure nothing gets lost in translation when you travel abroad. Airplane seats are notoriously cramped, especially if you're not flying First or Business Class. 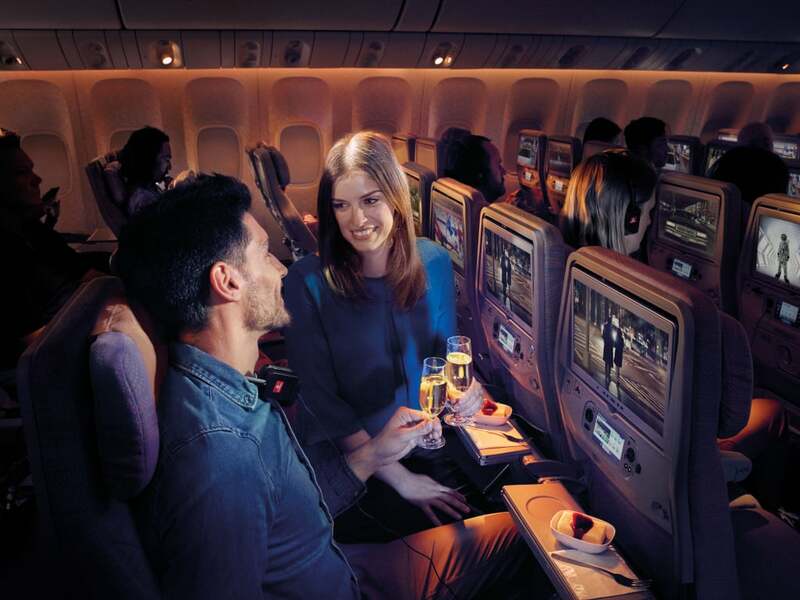 Luckily, Emirates Airline is committed to changing the Economy game for good. Once on board, all you'll have to do is recline your spacious seat to maximum capacity, enjoy the luxury of ample legroom, and cozy up with provided socks and innovative, environmentally friendly fleece blankets offered on select flights. To make the journey even more comfortable, make sure you stash an oversize sweater and loose clothes in your carry-on. And when you're ready, free Wi-Fi awaits your humblebrag status updates on social media. Flying with kids, a significant other, or your best friend? Before you're ready to drift off or immerse yourself in the on-board amenities, make sure your travel partners are in the same mindset. Snap some selfies, settle in, and maybe even locate the nearest lavatories. 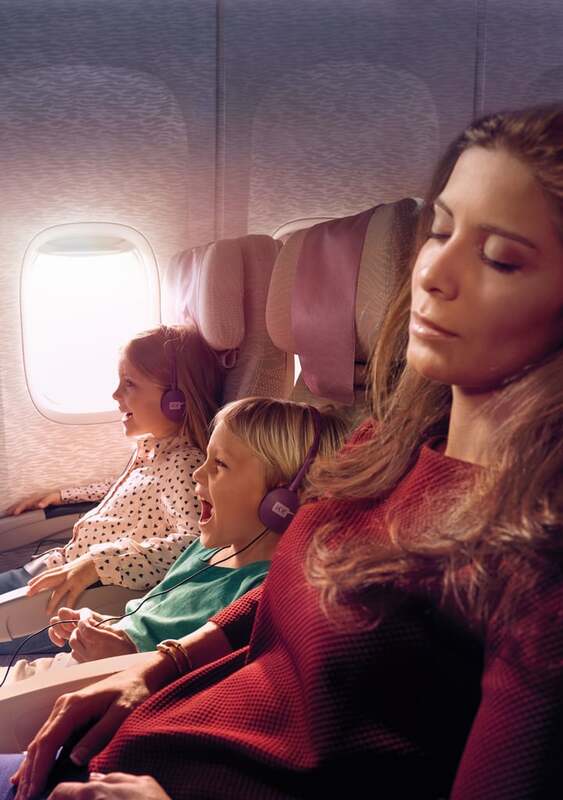 And just for Moms, Emirates ensures the days of "are we there yet?" will be over. In-flight toys and entertainment, exciting meals, and countless photo ops in the clouds will ensure they stay occupied so you have more time to relax. Now that you're comfortable and ready to fly, it's time to get in your zone. If you're a movie buff or expert binge-watcher, enjoy flipping through over 2,500 channels, where you'll find new movies, your favorite TV shows, and everything in between. And if music is more your style, check out artists and playlists of tunes to match your vibe. Whether you end up drifting off early or indulging in hours of programming, your chill space is only an arm's length away. Now that you've kicked off a long-awaited vacation and conquered a hectic airport, it's time for some guilt-free indulgences. Enjoy curated menus that tease the flavors of your destination, and start your vacation off right. And if you are celebrating a special moment or just want a little something to sip on, a full menu of complimentary drinks are waiting to be served whenever the mood strikes.